Sometimes it takes a health scare to shape up. 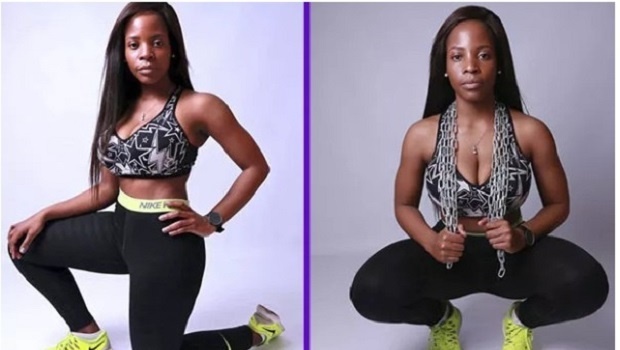 Emily Ntuli dropped everything and started a new clean lifestyle after she realised she might be in danger of two scary genetic diseases. The only way to help her dodge the same fate, she figured, was to keep fit. READ MORE: What are superfood powders and are they good for you? Emily lost her dad to diabetes in 2014 – and it was a major wake-up call. That tragic incident was all she needed to shape up and start leading a fit, healthy life. “I felt the need to change my lifestyle, especially because I come from a family blood line of cancer and diabetes,” says Emily. The Emily who ate everything she laid her eyes on and loved clubbing, drinking and indulging in ice cream, chocolates, sweets and energy drinks is gone. “I blame student life,” she says. Now, she’s all about balance: “I eat balanced meals. For breakfast, I like avo, beans and a sausage. Lunch is a Greek or chicken salad and I end the day off with another salad or veggies and meat,” she says. Emily complements her clean eating regime with regular gym sessions. “In the midst of my busy work schedule, I always make sure I find time to go to gym and work out – and time to work on my mental health as well,” says Emily. Her go-to moves are squats: “If your exercise regime doesn’t include squats, you’re doing something wrong,” she says. All the hard work is showing results. Emily has undergone a major body transformation, which she’s ecstatic about, of course. “I went from being a chubby teenager to being skinny to finally being fit and thick,” she says. Initially she weighed 61 kilos, then dropped to 48; now, she comfortably weighs in at 57 kilograms. “I’m constantly controlling my body fat percentage, keeping it below 25,” she adds. Emily hosts fitness boot camps sessions called “Sunrise Bootcamp” at the Union Buildings in Pretoria. She’s also a part of a group, TheTrailTroupe, which hosts monthly running and hiking events. In her gym bag she always carries along her work clothes, skipping rope, leg weights, gloves and a pre-workout shake. Her ultimate cheat meal is Chicken Licken. Why are we so afraid to be naked?